Use a few drops of water to slightly dissolve the sugar granules. It depends on how gentle you want your polish to be. 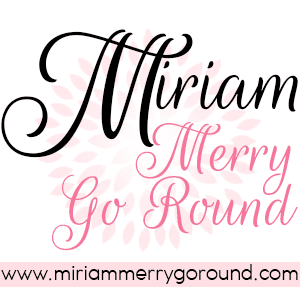 Next, apply it on your face in circular motions and slowly polish your face. 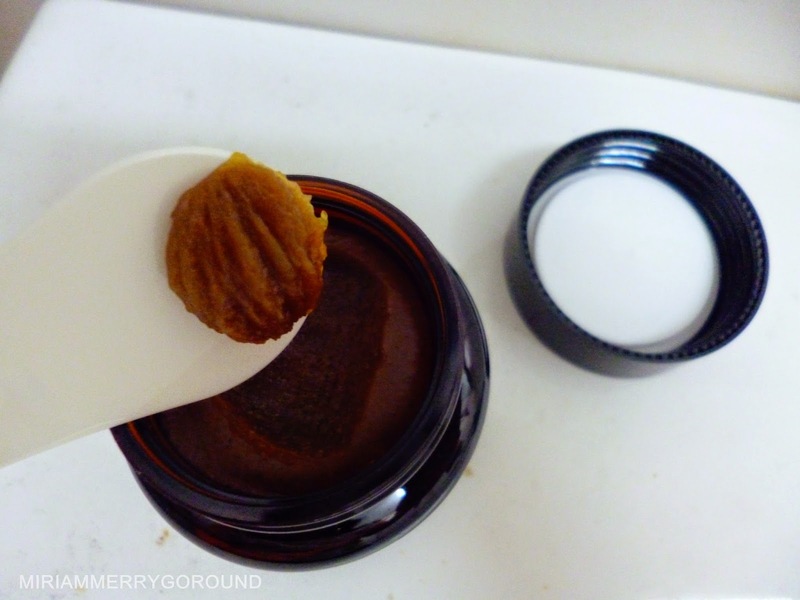 After exfoliating your skin, it's time to wash the polish off and see the results. 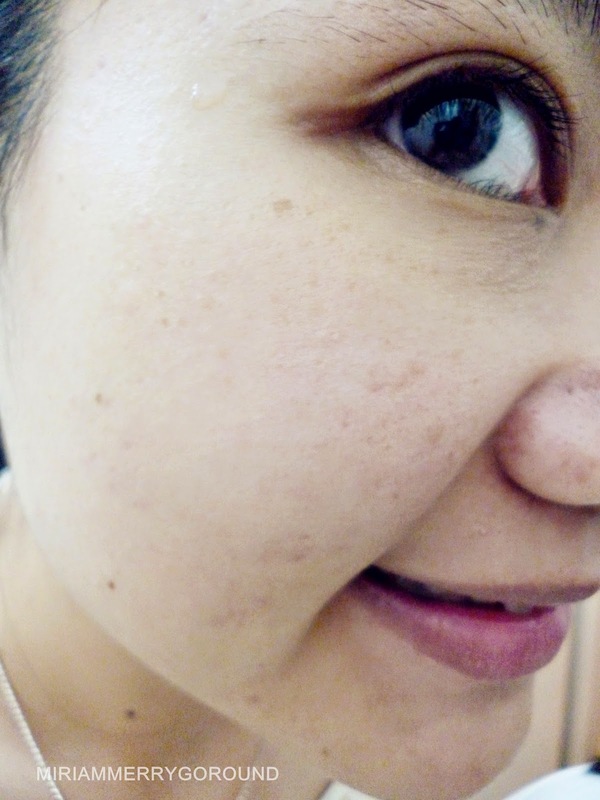 As you can see, the results are not really visible but I do feel that my skin feels cleaner and softer. 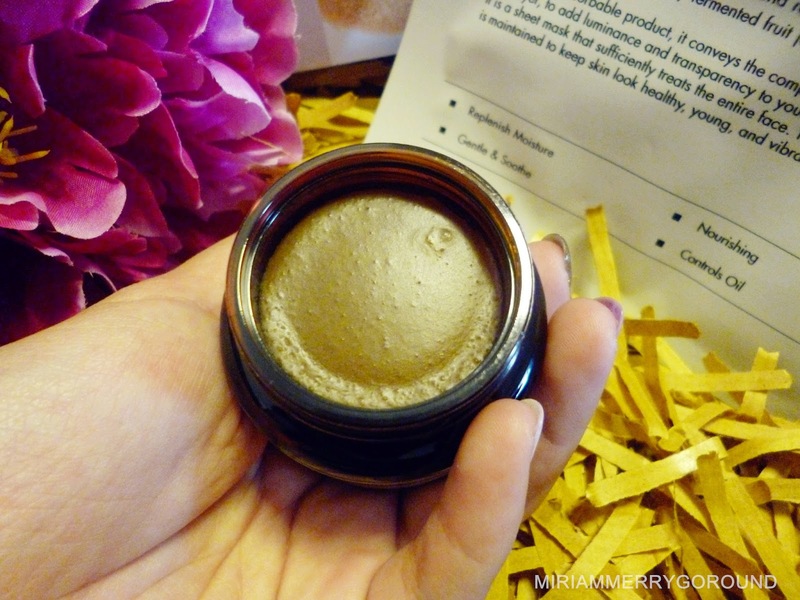 There was a slightly brighter glow to my skin to. 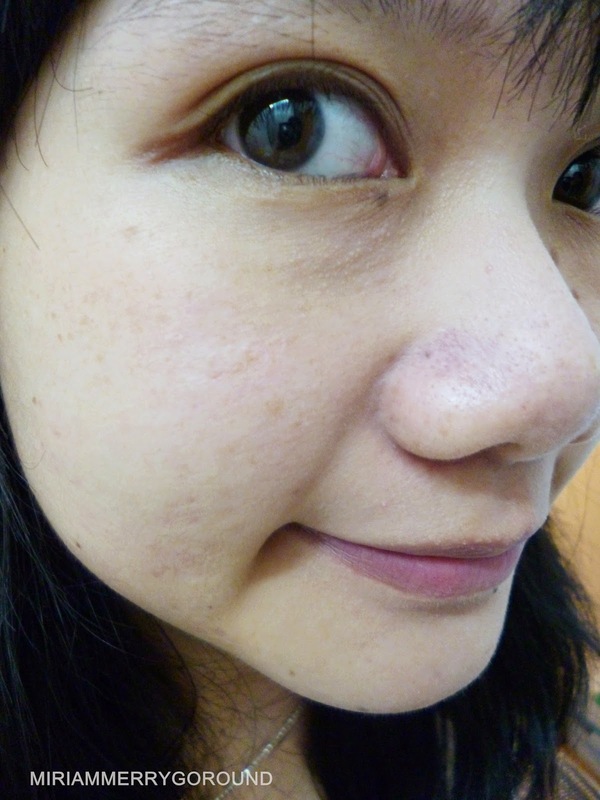 It is recommended to use the product for at least twice a week to get the optimum result. 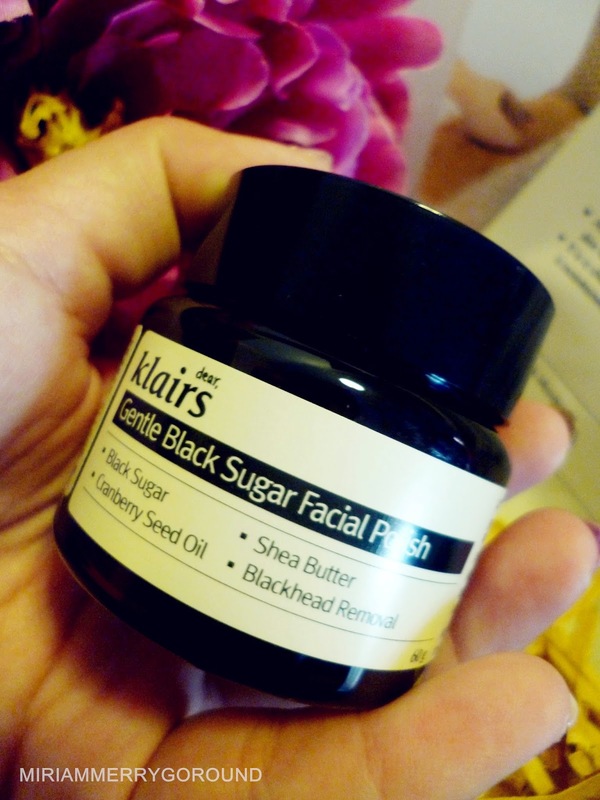 I guess I will continue to use this black sugar polish as I really love how gentle it was exfoliating my skin. 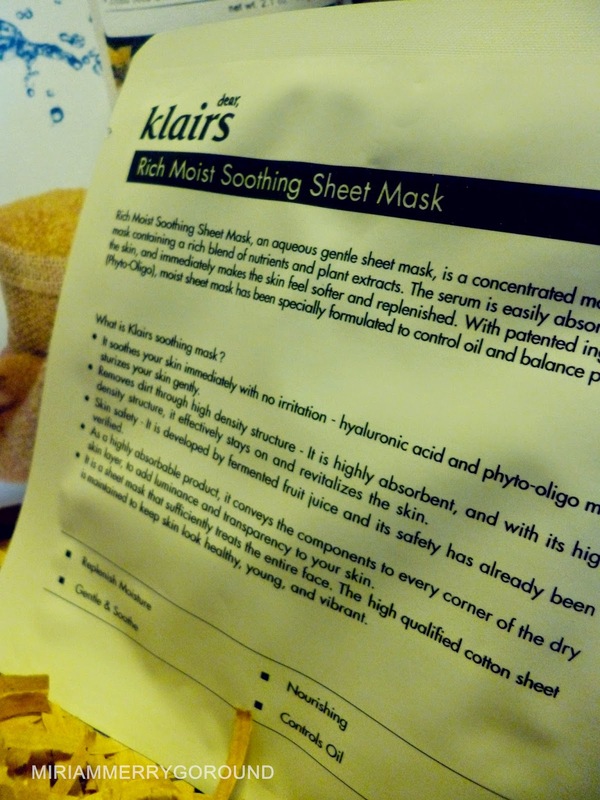 Besides the Klairs Gentle Black Sugar Facial Polish, Natta Cosme also gave one sheet of the Klairs Rich Moist Soothing Sheet Mask. 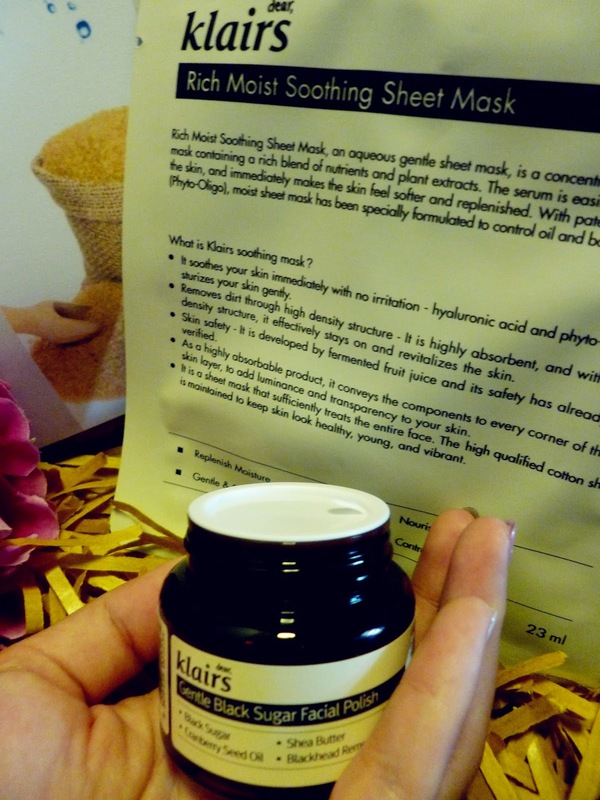 The mask is a concentrated mask containing a rich blend of nutrients and plant extracts to make your skin feeling softer and replenished. 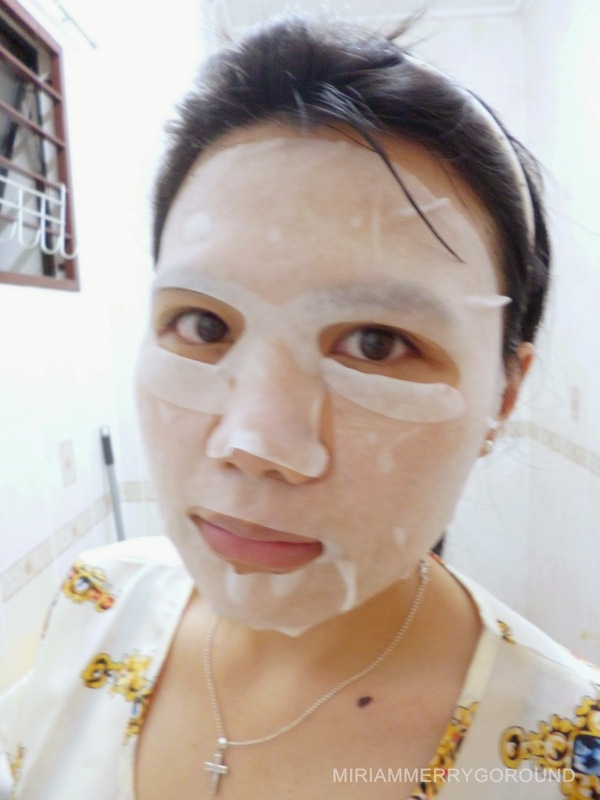 It is very important to use a mask after exfoliating your skin to replenish the moisture loss from your skin and to ensure your skin is moisturized. 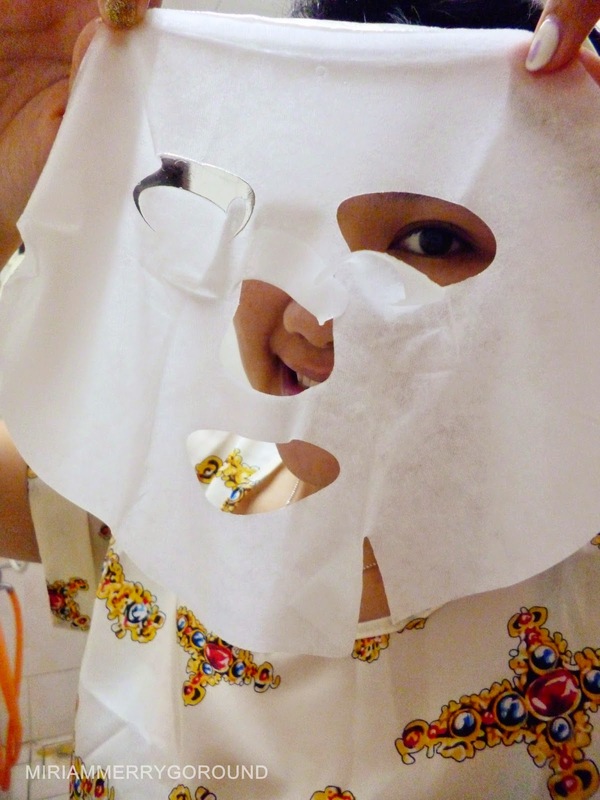 As you can see, the mask is really large and can cover every part of my face. Besides that there is also an eye flap that can pamper your eye area as well. 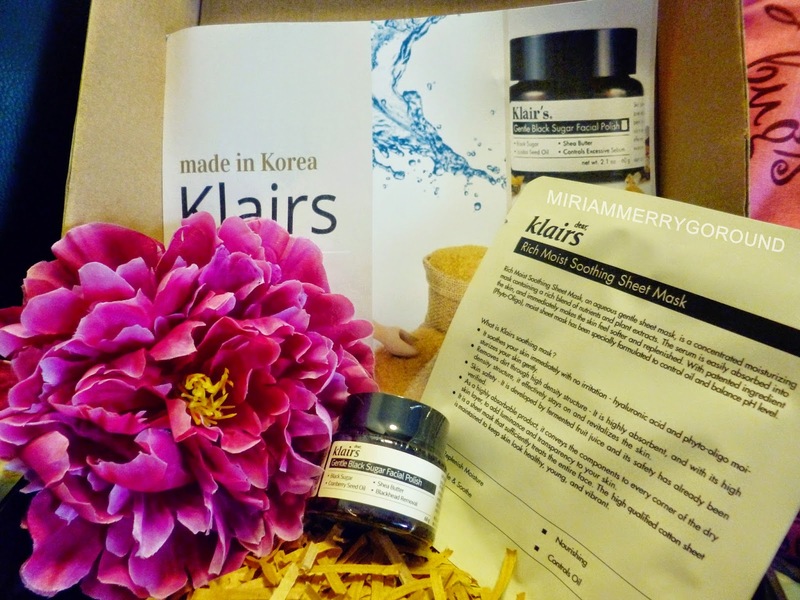 Overall, I quite like the Klairs Gentle Black Sugar Facial Polish as it is a gentle exfoliation compared to other products. 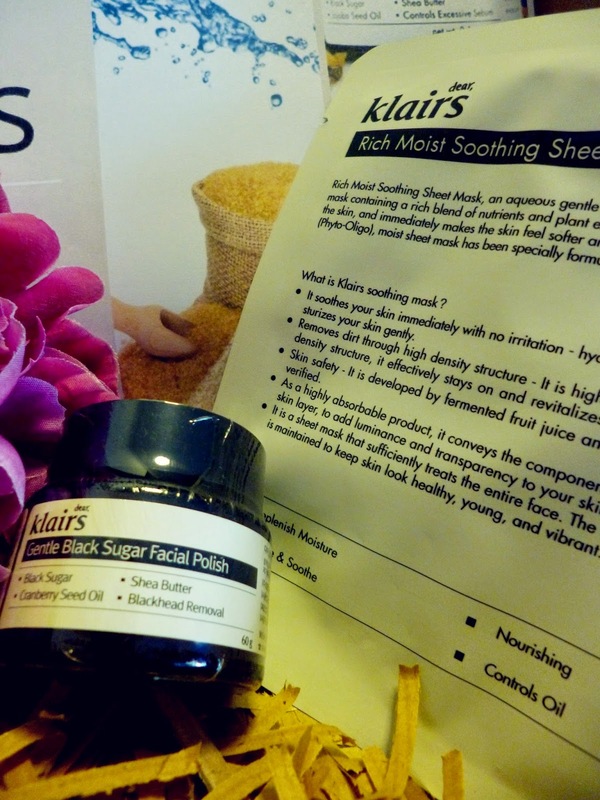 But for blackheads exfoliation I think I may have to use it for several times to really exfoliate it or use a stronger exfoliation product.